Morteza gained his first Bachelors Degree with honours from University College London. He then continued his postgraduate training at Peninsula College of Medicine and Dentistry where he graduated and won the 'British Dental Association & Ramsay Hunt Prize'. Following graduation, he worked in general practice where he received recognition for his outstanding performance. He then went on to hold hospital posts in Restorative Dentistry, Oral Surgery and Special Care dentistry. Morteza gained his Membership to the Royal College of Surgeons Edinburgh then went on to complete his specialist training in Prosthodontics at the world renowned UCL Eastman Dental Institute. As part of his training Morteza has gained Distinction in highly prestigious Master of Clinical Dentistry in Fixed and Removable Prosthodontics (UCL). During his training he has won multiple awards such the British Society of Restorative Dentistry's Gary Pollock and Research Poster awards. He has since gained Membership in Prosthodontics at the Royal College of Surgeons of Edinburgh. Morteza has experience in treatment of complex cases, Fixed and Removable Prosthodontics and Implant Dentistry. His clinical and research interests include aesthetic and reconstructive dentistry utilising modern approaches in dentistry. 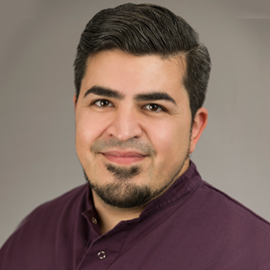 Morteza is a Senior Teaching Fellow at world-renowned Eastman Dental Institute, UCL. He is involved in training postgraduate dentists and has presented at local and national levels. He is a council member and treasurer of The British Society of Restorative Dentistry. Morteza provides the best personalised care for each patient using evidence base and latest techniques available.